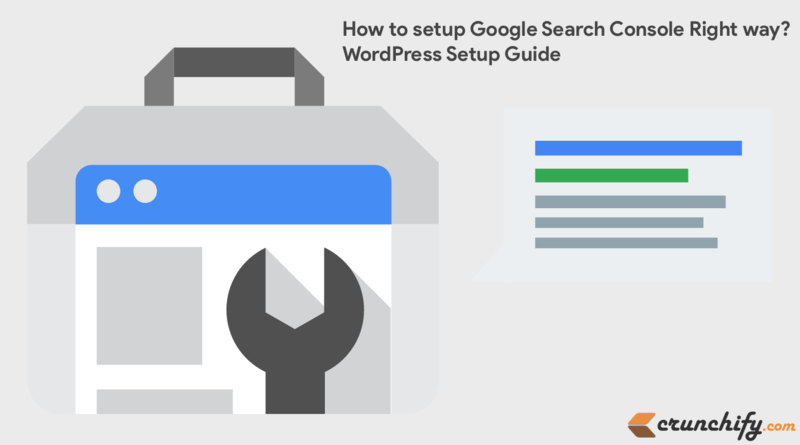 How to Setup Google Search Console (Webmaster Tools) for WordPress Blog for First Time? 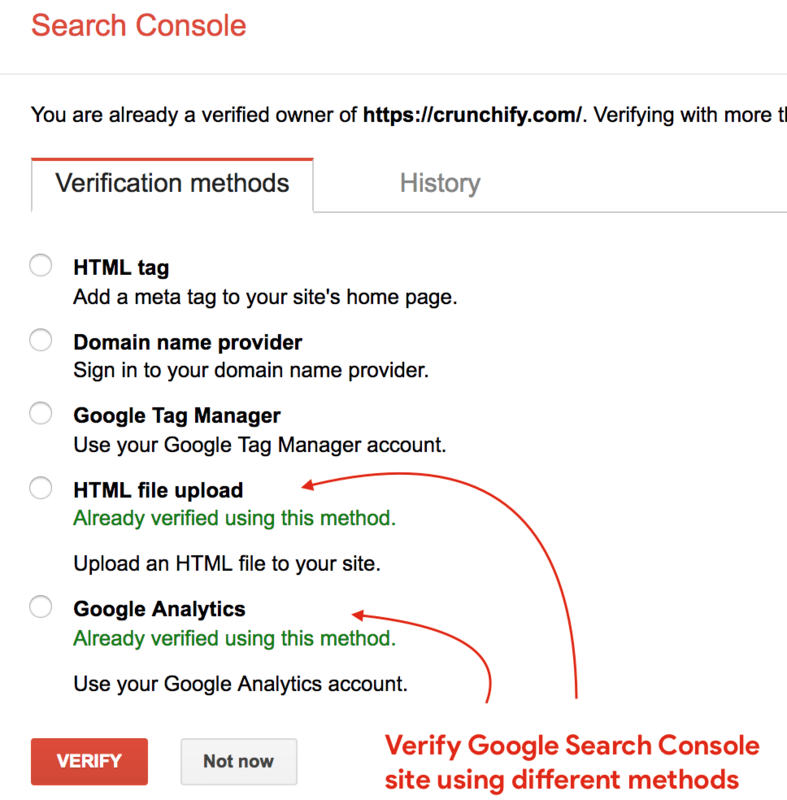 How to Set Up Google Search Console (Webmaster Tools) right way? Are you new to WordPress site? Have you setup a brand new website on WordPress CMS platform? Have you imported all new old blog posts to new site? Or published new articles on your new site? Possibilities are endless and we love reading new stuff everyday. Keep blogging and spread the knowledge across world. Once you publish an article and have your first blog, you must have thoughts about how to get maximum visitors on your site? You want more and more visitors on your site and Google Search is THE most powerful medium for folks around the globe to search for related contents. That’s the reason, Google has created Site called Google Search Console (formally known as Google Webmaster Tools) which helps Google to understand and crawl your contents fast and easily. Sign in using your Gmail account. Login works using your G Suite accounts too. Click on Top right corner Add a Property RED button. Add your site and click on Add button. Next step will ask you to verify your identify and if you are the owner of your site. Best way to verify is to download HTML file into your site’s root folder using FTP. Once you verify your site, next step is to click on Crawl link from left panel. Click on Add/Test Sitemap button. This will help Google to parse your site right way and faster. Come back again in couple of days and you will see index status. 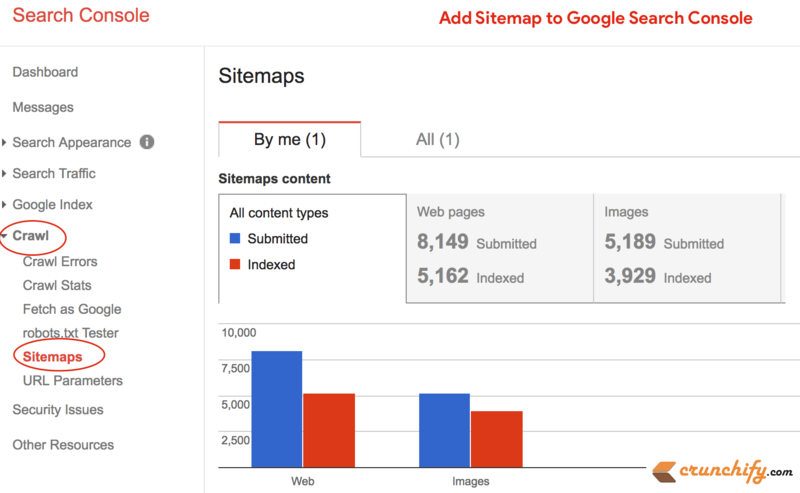 Let me know if you see any issue setting up your WordPress site in Google Search Console. Share & leave us some comments on what you think about this topic or if you like to add something. I'm an Engineer by profession, Blogger by passion & Founder of Crunchify, LLC, the largest free blogging & technical resource site for beginners. Love SEO, SaaS, #webperf, WordPress, Java. With over 16 millions+ pageviews/month, Crunchify has changed the life of over thousands of individual around the globe teaching Java & Web Tech for FREE. Get latest update on and . How to Install and Configure Elasticsearch on your Dev/Production environment?